Reply 'To Mr Marsden C[oncerning] Mr G.' He is advised to avoid alcohol and use cold bathing, and is advised to go to Scarborough in summer. He is to receive the same prescription as James Hutton. 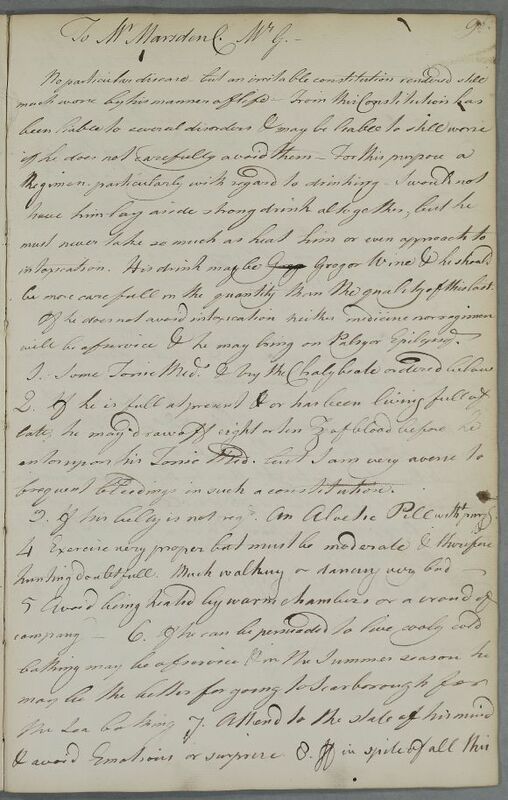 Summary Reply 'To Mr Marsden C[oncerning] Mr G.' He is advised to avoid alcohol and use cold bathing, and is advised to go to Scarborough in summer. He is to receive the same prescription as James Hutton. 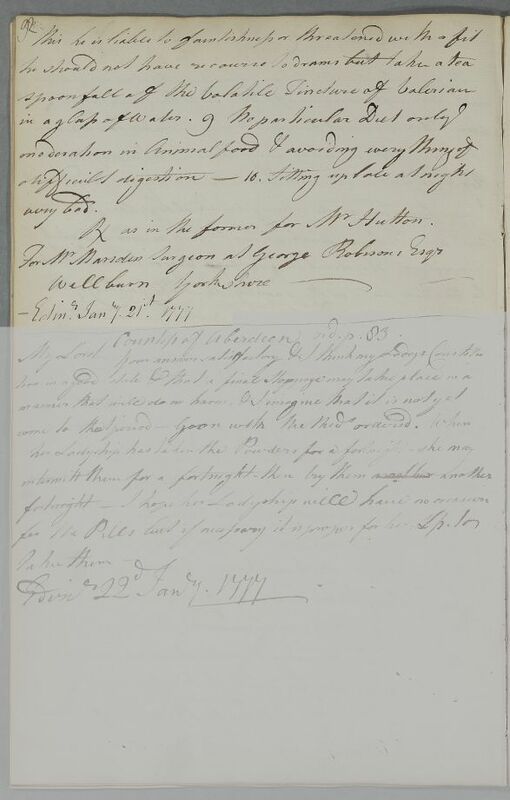 Case of James Hutton with feverish fits and other symptoms. Case of the anonymised 'Mr. G.', suffering from complaints of the heart and arteries. To Mr Marsden Concerning Mr G.
be more carefull in the quantity than the quality of this last. will be of service & he may bring on Palsy or Epilepsy. frequent bleedings in such a constitution. 1: The reference is to document 3986. To Mr Marsden C. Mr G.